There is only one big game in the Shore Conference tonight. TOMS RIVER NORTH travels to JACKSON MEMORIAL. Both teams come into this evening game with a lot on the table. Toms River North has a Top 20 ranking, they are trying to hold on to and Jackson is trying to get back on track after a disappointing start to the season. When the season started both teams were ranked in the Top 10 and TRN was ranked in the Top 20. Many believed the TRN ranking was a big high to start the season. Jackson Memorial was not ranked and many believe they would join the Top 20 before the year was over. Half way into the season we have learned two things. TRN has been better than expected and have earned there Top 20 rankings. Jackson Memorial has no path to the Top 20 this season not longer ranked in the Top 10. But there is a path back to the TOP 10 and win the division. They are one game behind TRN in A-SOUTH. A lost tonight would almost certainly give TRN the title. 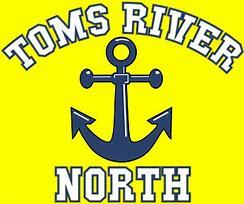 Toms River North’s only lost was to #16 Marlboro in the WOBM. They come into tonight contest at 9-1 overall and 6-0 in the conference. Jackson Memorial comes in at 5-4 overall and 5-1 in the conference. Toms River is just where many expected them to be coming into tonight’s contest. Jackson many believed would come into this game undefeated in state play, due to the soft schedule. Instead they have suffered losses to Donavan Cath and TRE in both games they were shockingly blow out. Some believe their soft schedule has back fired on them. Tonight is big because they do not play a ranked team the rest of the season until they play TRN on the road later in the season. There is much at stake for both of these teams tonight. RACHEL GOODALE- She has seen it all and has won state titles and been to the TOC. Her teams are known for being very competitive. She has turned Jackson Mem back into a real player in the Shore Conference again. She has developed her current players into a possible Top 20. Tonight’s game could be decided right here. Both point guards are the key to both teams. If either point guard gets in foul trouble. The other team is in deep trouble. Both point guards have the ball in their hands 90% of the time. Neither team has a replacement for either of these guard. 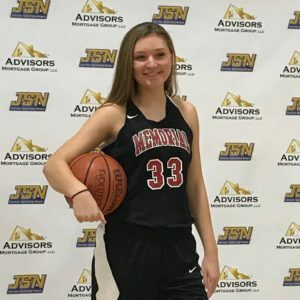 Brielle Bisogno– SR– She is one of the best in the state these days. She is murder on the ball and getting into passing lanes. She is a scoring point guard who also makes teammates better. She has had an off the charts season to date. The numbers are scary right now, she is averaging 16.3 points a game…5.5 assists, 3 steals and 5 rebounds. She is the best defensive and rebounding point guard in the Shore. She is capable of taking this game over by herself. Bianca Giordano- Jr- No player is more important to Jackson Memorial. She is a walking assist averaging 6.0 dimes a game. But its her ball handing and open floor play that means so much to Jackson. She sets up the shooters for easy looks at the rim. She also cannot be pressed and that allows Jackson to get out and run. She is a deep three point shooter who is a pass first point guard. Advantage- Both are future D1 guards. Both are mega talented players. But Bisogno is one of the two best players in tonight’s game.. Both teams have excellent wings, who can score and get in passing lanes. The ability to make shots tonight cannot be under estimated tonight. Sydney Howell- Fr– will need to knock down some three point shots. She has 14 on the season. She also is averaging 4.5 points a game. TRN will need every point she gives them tonight. She had played quality minutes all season. She will also need to box out and get back on defensive in transition. TRN is asking a lot of a baby on a big stage. She doesn’t need to be a star, but she needs to be solid tonight, she must have good shot selection. 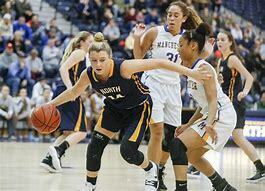 Kristina Johnson- Jr- has been a rock all year for TRN. She has done all the dirty work, passing, rebounding and playing defense. Her 7 points and 7 rebounds are going totally unnoticed. She has been in the wars and will not be shaken if Jackson jumps on TRN early. Rachel Capua- Soph- She is a proven scorer and has shown she could have monster nights. She is averaging 12.2 points a game. She was ALL FRESHMAN last year. In last years upset of TRN she had 23 points and 9 rebounds. She could give Jackson Mem a real edge tonight in this matchup. Kristna Donza- Jr– She has shown an ability to knock down shots and can get on scoring runs. She is averaging 17 points and 9.6 rebounds a night. She gets out a runs the floor. She will need to get her numbers in a big spot for Jackson Memorial to win tonight. She is a big time athlete. She could blow up tonight and change this entire game. Advantage- Capua and Donza are big scorers and more importantly are capable of big nights. TRN is giving up a huge amount of points in the wing position. The Jackson wins are averaging over 30 points combined. The TRN wings are averaging 11 combined. Defense will be a must if TRN wants to off set this watch up. Jenna Paul- Sr- The Colgate bound senior will be the best player on the floor tonight. She is having a monster season. The TRN all time leading scorer is averaging 20 points and 10 rebounds. She is the best player in the division and will need to be that tonight. Faith Wavershak-Fr– The freshman will be asked tonight to get on the boards and playing defense is a must tonight. Her 4.8 rebounds are a must this evening, if TRN has any chance of winning on the road. She also must make uncontested layups when they present themselves. Advantage- While Jenna Paul may be the best player in tonight game. Make no mistake, Dani Evans is very capable of matching her numbers. Evans has seen the big lights and will be ready tonight.. This is the biggest game of the year for both teams. Throw the stats out the window, because of the level of competition both teams have faced. The two best players on the floor belong to TRN. Expect Jackson Mem to play either a box and one or tri angle in two against Jenna Paul and Bisogno. Look for TRN to change defenses and play some pressure defense. 1-2-2 or 2-2-1 full court. The matchups will be interesting. No question Jenna Paul will move Donza. Look for multiple players to guard Bisogno this evening. Foul trouble by Paul or Bisogno could become a problem. This game will have tons of intensity from the start. Jackson Mem will look to jump out early. Jackson is fighting for there lives here tonight. They have not been sharp to start the season. There is no question tonight could be a defining moment in their season. TRN is playing with house money right now. They have a one game unexpected lead in the division. They could provide the knockout punch tonight. Last time these two met, Jackson Mem won and last year TRN was a better team. Jackson has it core back…I say the FAB 4 win tonight and keep there season title and top 10 hopes alive…..JACKSON MEMORIAL WINS…round!